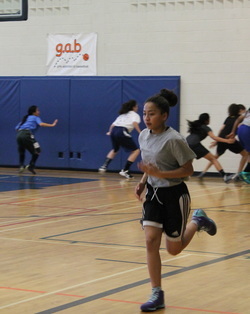 "Get Fit" is a 3hr training program that focuses on the most effective ways to train your body for basketball competition. On July 25, 2016, Dr. Joel Kerr from the Health Institute along with Coach Tanya Callaghan will teach and train girls between the ages of 12 - 18 on The Four Pillars of Health. This is a one day event that will host a maximum of 30 participants at the new home of Toronto Raptors practice facility called BioSteel Centre. Parents and or siblings/friends of the participant cannot wait inside the gym or inside the BioSteel Centre. The Centre is for MLSE employees and Raptors Athletes. We are merely guests in their building.